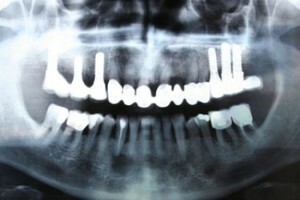 Losing one or more teeth can be a devastating blow, both to your oral health and your confidence. When you have unsightly gaps in your smile, it can be hard to even get out of bed, not to mention interact with your peers for fear of embarrassment or ridicule. Worse, if left untreated, those gaps can cause your other teeth to start to shift so as to fill the space, resulting in an increased risk of periodontal disease, bite collapse, and additional tooth loss. Thankfully, Dr. Sasson and his dedicated staff have a variety of tooth replacement options available to you at Boston Smile Center. How are you supposed to know which solution would best fit your unique needs, though? Do you find stability and sturdiness most important? The speed of the treatment? Affordability? We want you to be well-informed of all the procedures and services available to you before you make a decision; that’s why below, we’ve provided some descriptions of our restorative services. Please contact our Brookline office directly if you’d like to learn more! In most cases, we will suggest dental implants as the ideal option for patients who’ve lost one or more teeth. Dental implants provide a stable, sturdy, and practically seamless solution to unsightly gaps. Better yet, they’re the only tooth replacement option that replicates the root of the tooth as well as the crown, which helps keep the jawbone healthy and full. Dr. Sasson can perform every stage of the treatment right here in his Brookline office, from the placement of the implant to the custom restoration. 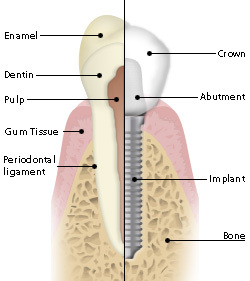 Additionally, dental implants can be used in conjunction with crown and bridges and dentures in order to add extra support. If you’re looking for the stability of dental implants but aren’t willing to wait the extended amount of time it will take for that treatment to be completed, crown and bridge may be a restorative solution that’s more suited to your needs. A bridge is a prosthetic tooth (or teeth) that can be attached in a gap between natural teeth that have been prepared with crowns. Dentures and partials offer both a convenient and affordable tooth replacement option. Dr. Sasson will have the piece custom-made to fit your specific needs, and it stays in place with the help of clips and natural suction. Dentures and partials are removable, making cleaning much more easy! If you have any questions about our tooth replacement options, or if you’re ready to schedule a FREE consultation with Dr. Sasson, please call our Brookline office today. We can’t wait to give you a reason to smile!